John Hardy presents this sterling silver station bracelet from the Bamboo collection. The bracelet features a classic chain and a smooth textured station with darkened details to accent the bright silver. This station bracelet is a simple, yet elegant touch to be worn alone or with another piece from John Hardy's Bamboo collection. 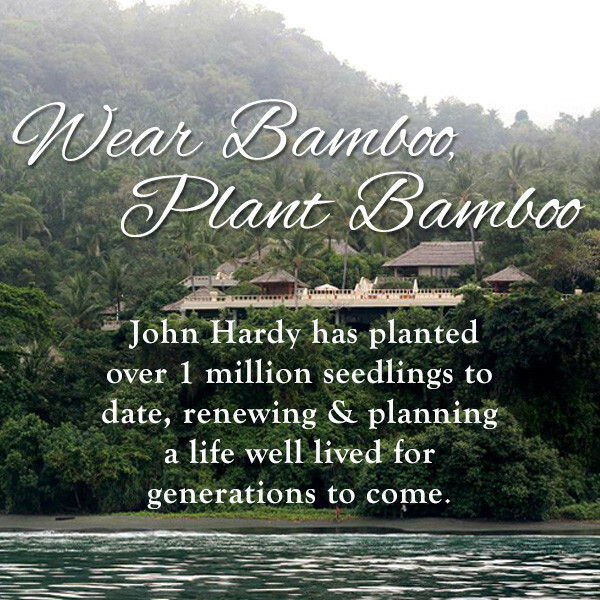 Two bamboo seedlings are planted with the purchase of this John Hardy bracelet.